This past year, West changed Rdio's tag from "Human Powered Music Discovery" to the simpler "Discover Music." Always nice when when USPs double as CTAs. The print and OOH found a beautiful way to showcase individual artists intersecting, influencing, and overlapping to create something greater. 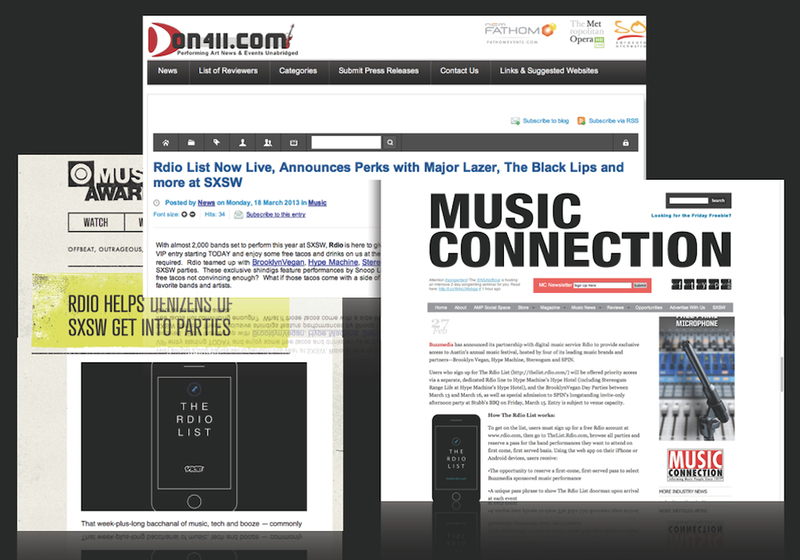 Sure Rdio sponsored some showcases and threw some parties in Austin. But if you're talking "Discover Music" you need to walk it too, and this was the place to do it. 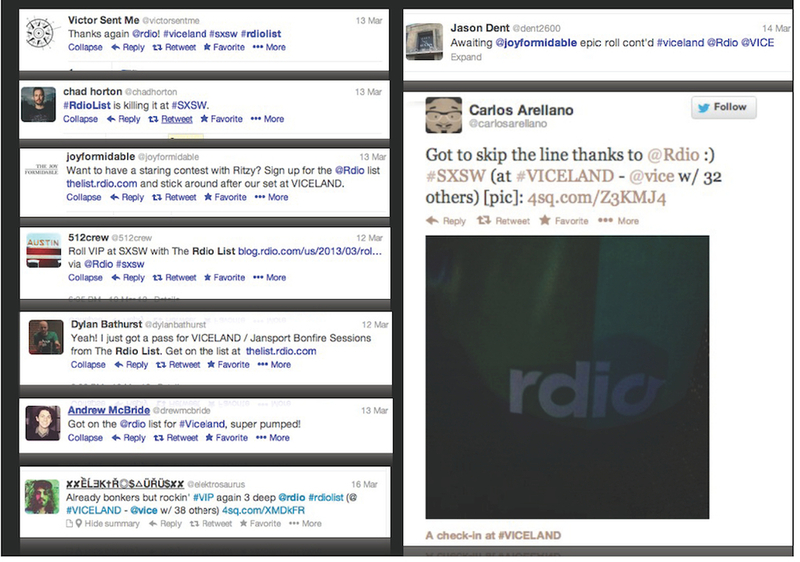 West worked with Deep Local to create The Rdio List app, letting people skip the lines and actually see some shows. We promoted the Rdio list on key cards that people got with their hotel rooms. 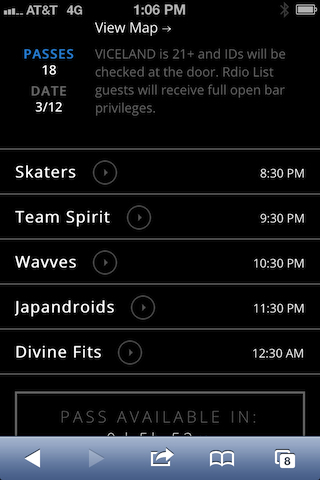 The app releases passes a few hours before each show. If you get on the Rdio List, you skip the line. By the second day passes were going in seconds. It was pretty simple really: at the Pitchfork Music Festival, we wanted everything to be about helping people enjoy the show as much as possible. 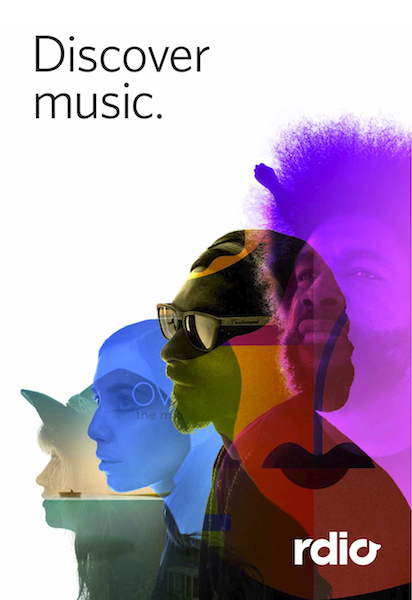 Because that's what Rdio is all about you see, helping music lovers love music to the max. 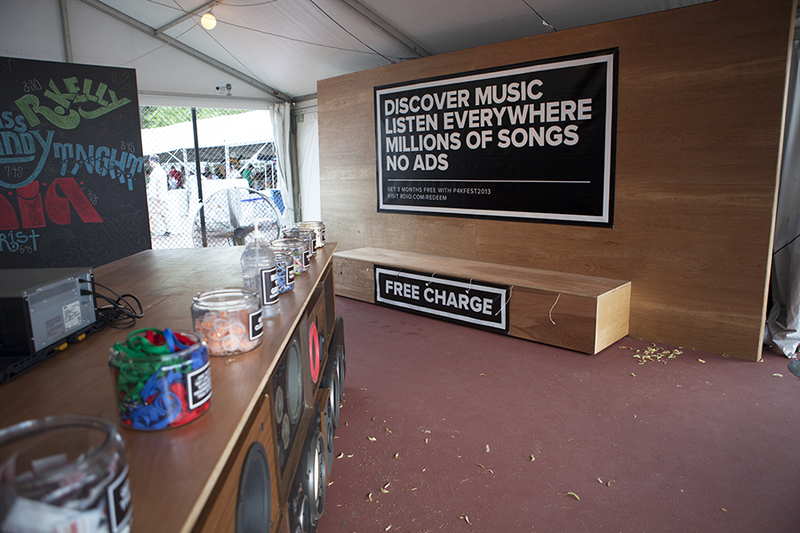 So instead of Rdio swag on the tables, we had fun providing takeaways to aid in the festival experience. Sometimes I get brought in at the end to do some wordsmithing. 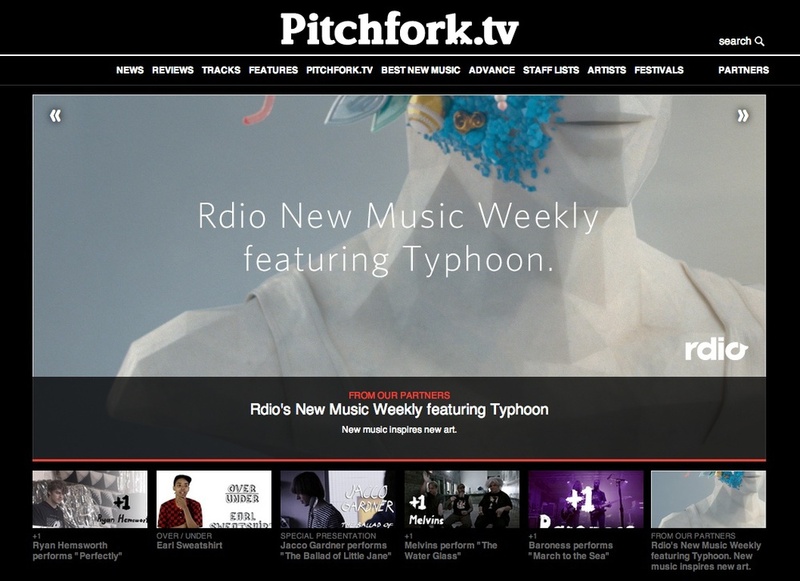 In this case, the Rdio team had already begun production on a new video series. They were commissioning visual artists to create :15s to promote new releases, planning to post a new one each week for a year. I was tasked with naming the series and writing some quick descriptive copy. "New music inspires new art" is what we went with.